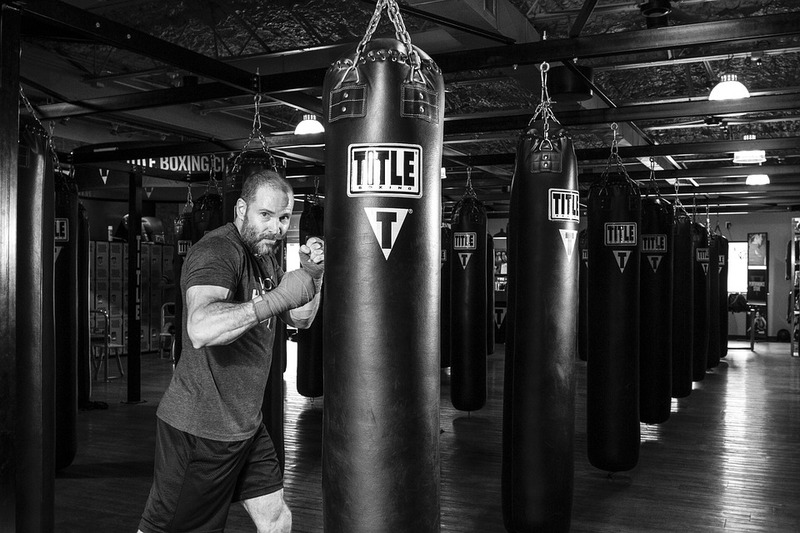 Stewart Davison started martial arts in his late 30s, and now 6 years later says that he feels fitter now than when he was in the military in his 20s. That’s really quite something. He’s got some brilliant observations about being a more mature student, and about being a role-model for his children. He also introduces his blog, a personal journey of his road to black belt, and now to 2nd Dan. I fell into the martial arts by accident really, my wife and daughter had been studying at the local TaeKwon Do school, Ilyokwan Black Belt Academy, for a couple of years and I didn’t feel much inclination to get involved. I was in my late thirties, family guy, thought I was just ‘fit enough’ but when the opportunity arose to take over of my wife’s membership (due to a serious knee injury) I thought ‘I’d give it a go!’ 6 years later and I am a 1st Dan in Ilyo Mu Do Kwan looking to test this year for my 2nd Dan. Over the years I have been training I have been thinking more about my personal fitness, where my life is going and trying to discover what limitations I have when it comes to my MA training. In my early forties now I so far have seen that by having something to work towards has really enabled me to keep my fitness to a good level, which in turn has helped , in what is obviously a physical discipline, in my MA development. As I have become older I have come to realise that I can’t always do what the younger guys can do, from a physical and flexibility perspective, but I’m not far off, I believe that actually I am in some ways fitter than I was in my twenties, which is strange to think as I was in the military at the time. Fitness is relative to the individual and as a senior student I have always tried to set my personal standards higher than the rest of the class. On reflection as a more mature student I have probably greater physical strength than the younger students in class and more importantly also have some ‘real life’ experience when it comes to the self defence aspects of our training. I do believe that the needs of the older student have to be taken into consideration by instructors and that age shouldn’t be a barrier to being an active and successful practitioner of the Martial Arts. In fact Instructors and schools ignore the more mature candidate at their peril as it is these students who have tasted something of life, the successes, the failures, who are more likely to commit, long term, to their training than the younger student whose training may just be a ‘phase’ in their personal development. A lot of my non MA friends, when talking about my training, state that they couldn’t commit the time, aren’t fit enough, are too tired from work etc etc, and they ask why do I do it? For me my MA training has become a part of who I am and I am fortunate that my eldest daughter has continued in her training and recently achieved the rank of 1st Dan as well. Having the motivation of setting a good example to one’s children always helps to drag yourself off the couch on a dark and stormy night to go and hits things, hard! When it came time for me to enter the testing cycle for 1st Dan I chose, as a goal, the creation of a blog to chart how a fairly ‘ordinary’ guy worked towards achieving that first rung on the ladder in a martial art. When looking to do a goal as part of my black belt candidacy I was finding it really difficult to come up with something worthwhile, I wanted to show to people that a relatively ‘normal’ person, someone who can’t go to a Gym 5 times a week, someone who doesn’t have an abundance of free time, could still be successful on the journey to Black Belt. Something at the forefront of my mind was also to demystify the whole process, to show that attaining a black belt isn’t some esoteric, rite of passage, that all it takes is some commitment and determination to succeed. Making sure that other students could benefit from what I was experiencing I thought the best thing to try would be to create a blog. This blog allowed me to put down what I was thinking and feeling as I progressed through the process of black belt training. The aim of the blog was to show the highs and lows along the way and how really 6 months isn’t a long time to prepare for your black belt grading. Its intention was to show that you don’t need to be superhuman or the most driven person in the world to succeed at something you want, merely that you need to give it the proper care and attention to reap the rewards. Now 6 years down the line since I first put on the uniform, struggled with forming a low block and marvelling at more senior students who seemed to have mastered the most complex patterns, I have embarked on the testing cycle for my 2nd Dan and so the blog has begun again. 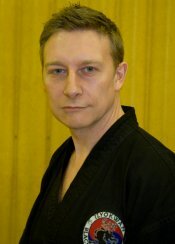 This time older, maybe a little wiser, definitely greyer but still with a spark that will hopefully take me to the next stage in my training, I would relish the opportunity to hear from like minded MA practitioners from around the world and so I put a call out to follow my blog The Road to Black Belt and please get in touch!